Hey, hey — it's Friday! Bend Fall Festival is kicking off this evening, offering a ton of family fun throughout the weekend. This group of ragtag, Canadian outlaws play a signature blend of bluegrass and classic folk. Nostagically old school while somehow remaining palpably fresh and playing live shows with a punk rock fortitude. Expect pickin’ and some old fashioned boot stompin’. This funky San Diego-based band plays modern rock infused with retro-electronic jams. Groovy, syncopated rhythms power their sound, elevated by subtle harmonics provided by keyboardist Alex Mello, who joined the crew earlier this year. There will be over 100 vendors showcasing fine art and handmade goods on Wall Street — a perfect opportunity to find some special gifts for the holidays. Do you love DIY projects? DIY Cave not only offers studio space and the tools to complete your projects, but a whole host of classes to help you learn basic (and more advanced) skills — from welding to wood working skills. DIY Cave will be holding a handful of demos on the Fine Artist Promenade to give you a taste of what they offer. The farmers markets in Central Oregon are beginning to close up shop for the winter — very sad, indeed. 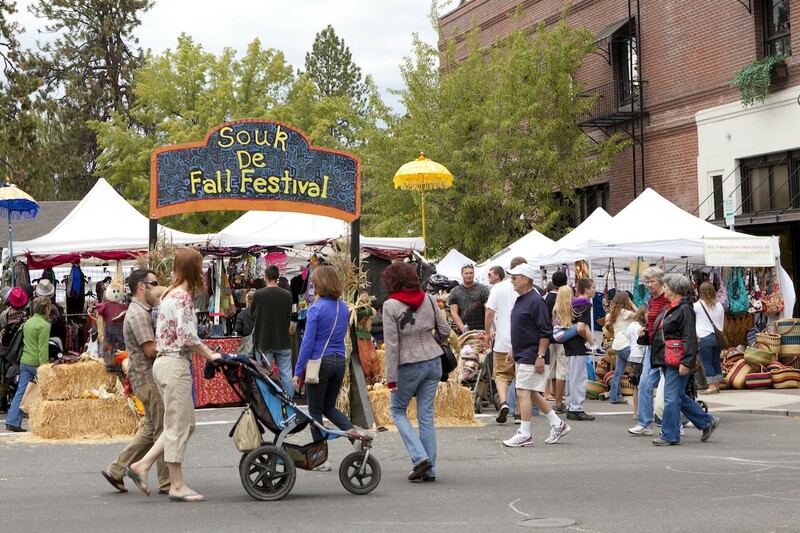 If you're a fan of local fresh food markets, you won't want to miss the Bend Fall Festival Harvest Market. Find colorful squash, fruits and veggies from regional farmers, along with high quality meats from local ranchers.